Meet Richard. He's the head chef at The Botanist in Leopold Square. 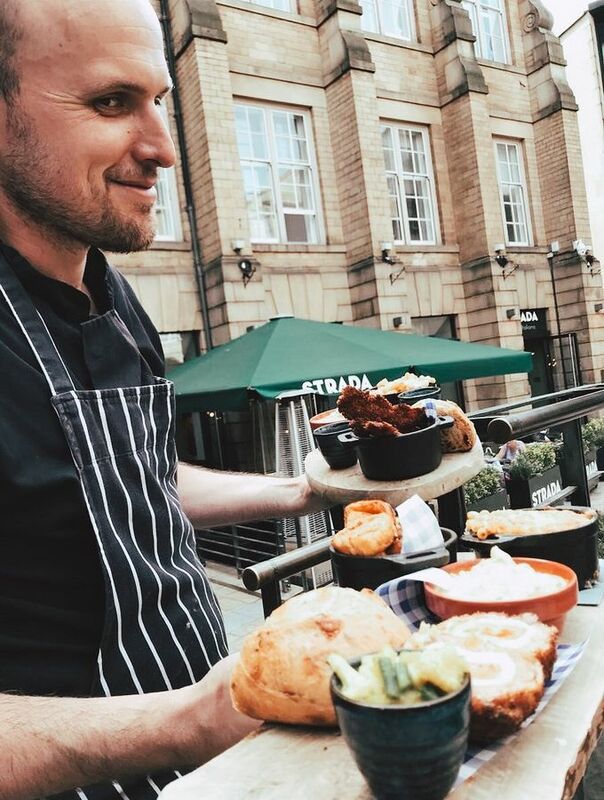 As we continue to show the love for one of Sheffield’s city centre must-visits for enchanting cocktails and hearty food, we want to get you closer to the people that make The Botanist so great. Here we catch up with head chef Richard, to get to grips with the bar and restaurant. Why not grab a quick meal and a cocktail for £15 this October at the Leopold Square restaurant? Simply quote 'dine and discover' when ordering or booking your table. After starting college at 16, I moved to Birmingham at 19 to become a pastry chef. I then opened the Radisson SAS Hotel, and slowly worked my way up the rankings. I’ve also worked at Carluccio’s for four years as well as a local hotel. At 23 I became a Sous chef, and then head chef at 24. For me, Raymond Blanc has been a constant cooking inspiration. His passion for excellent food and his love for home is something I definitely share. Oh my goodness I LOVE Hendo’s! Especially with cheese on toast. I think I’d say that Sheffield is definitely on the rise. Its people are friendly and to the point. Its setting is so green and we’re SO close to the peaks that Sheffield stands out as something pretty special in that sense. Having seen The Botanist go from strength to strength here in Sheffield has been amazing. It’s become a top restaurant and bar, having won numerous awards. The Botanist isn’t like your average bar or restaurant. Its décor (think overgrown fairy tale/botanical garden) and staff who have expert knowledge of cocktails and beer are what really sets it apart. If Sheffield were a dish, it would have to be one of our warm and comforting pies. Filling and warm, and ripe for a smothering of Henderson’s on top! As a pastry chef however, I love making the desserts! Enjoy a main meal and cocktail of your choice for £15 at The Botanist throughout October, as we celebrate the great places to eat and drink in Sheffield city centre in our Dine and Discover food series. If that wasn't enough, stay tuned for Dine Sheffield, Sheffield's very own restaurant week, which returns to the city on 18 October - 1 November.